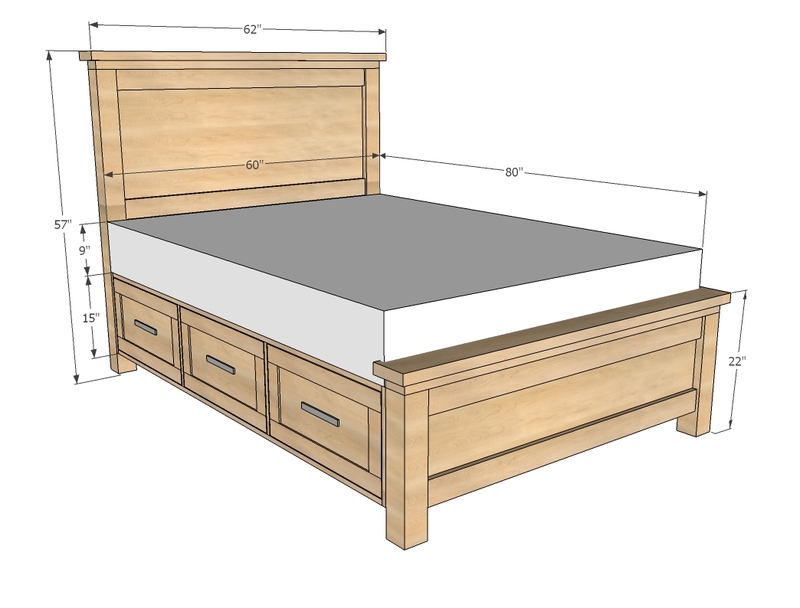 Dimensions are shown above for queen size. 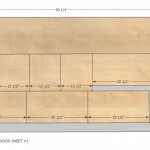 Please read through the entire plan and all comments before beginning this project. Take all necessary precautions to build safely and smartly. 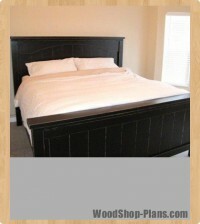 Work on a clean level surface, free of imperfections or debris. 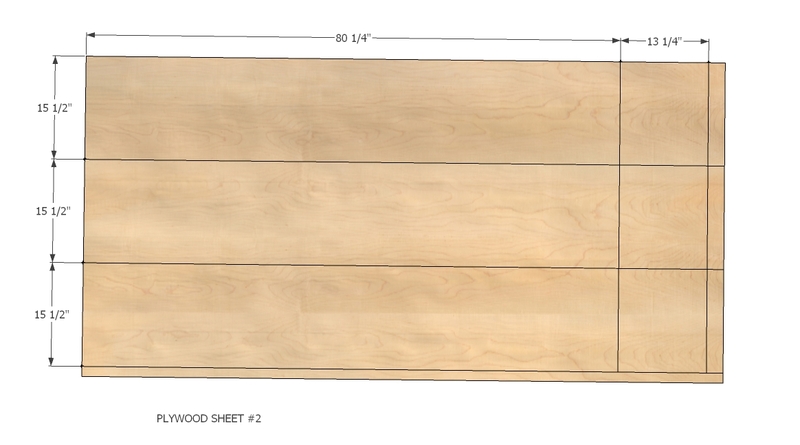 Always use straight boards. Check for square after each step. 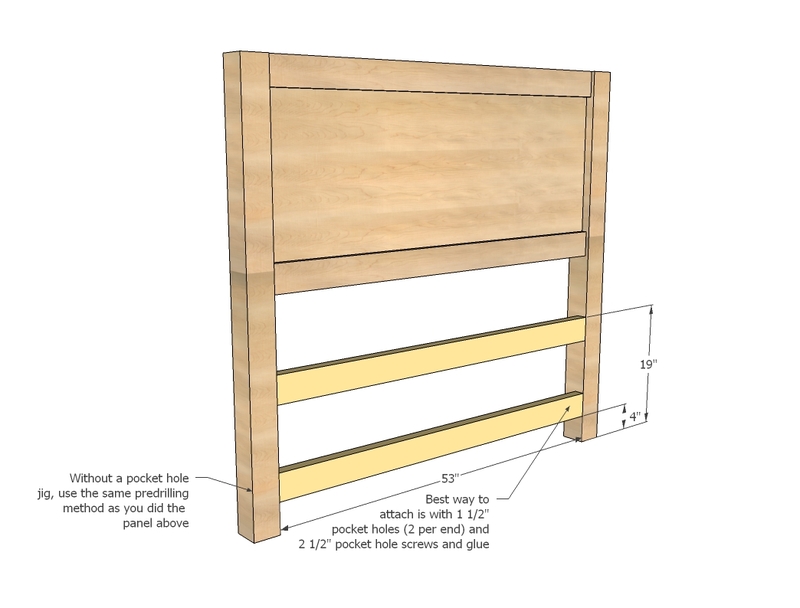 Always predrill holes before attaching with screws. 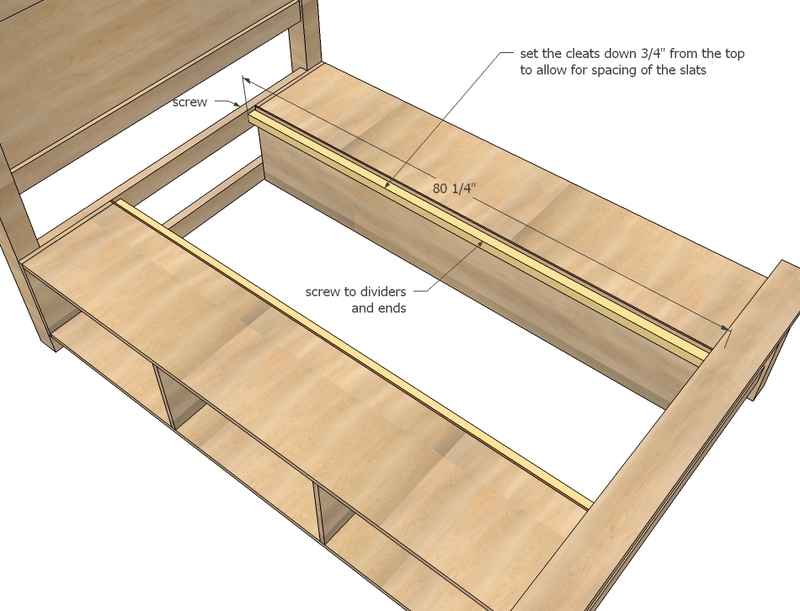 Use glue with finish nails for a stronger hold. 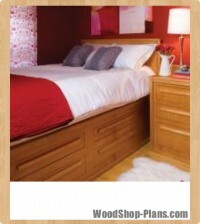 Wipe excess glue off bare wood for stained projects, as dried glue will not take stain. Be safe, have fun. Good luck! 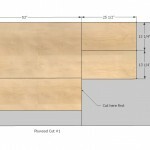 Have your hardware store rip the first piece into three equal sized strips, 15 1/2″ wide. 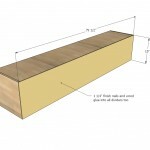 Then all you have to do is make the cross cuts at home. 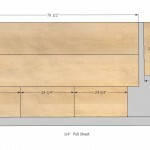 These cuts are from the 3/4″ thick plywood. 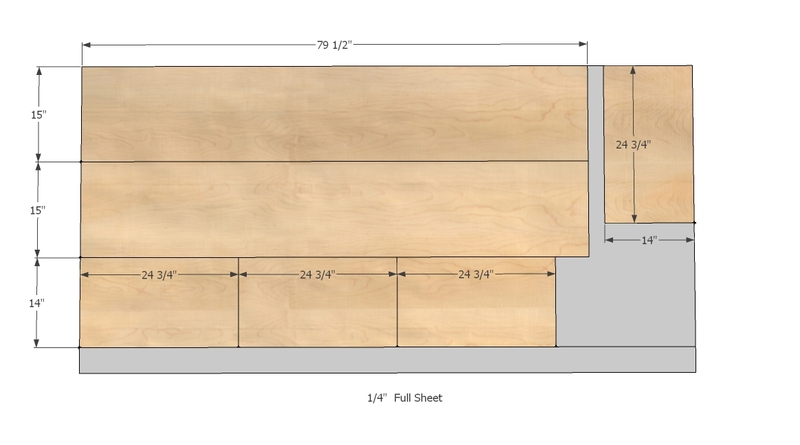 From another sheet of 3/4″ plywood, have your hardware store rip into two 15 1/2″ strips and one 13 1/4″ strip. 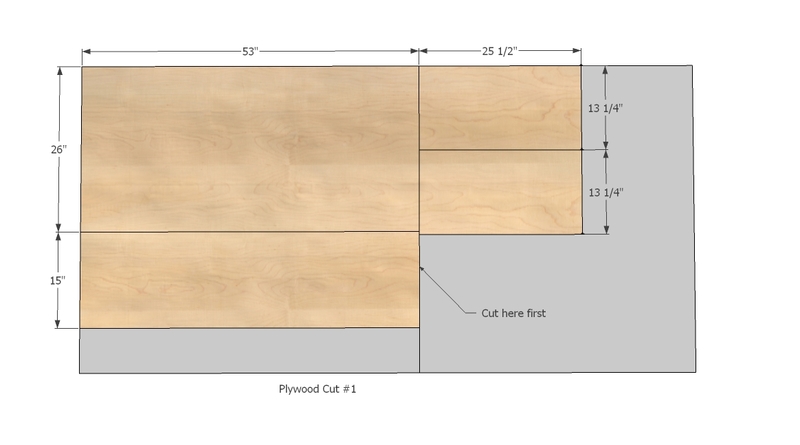 From these strips cut the following pieces. 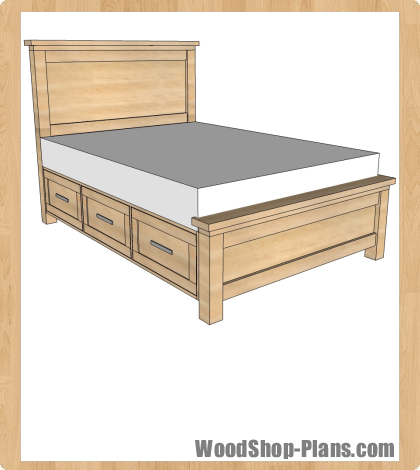 From the final 3/4″ piece of plywood, cut it cross wise as noted in the diagram, and then cut your headboard and footboard panel from the larger half. 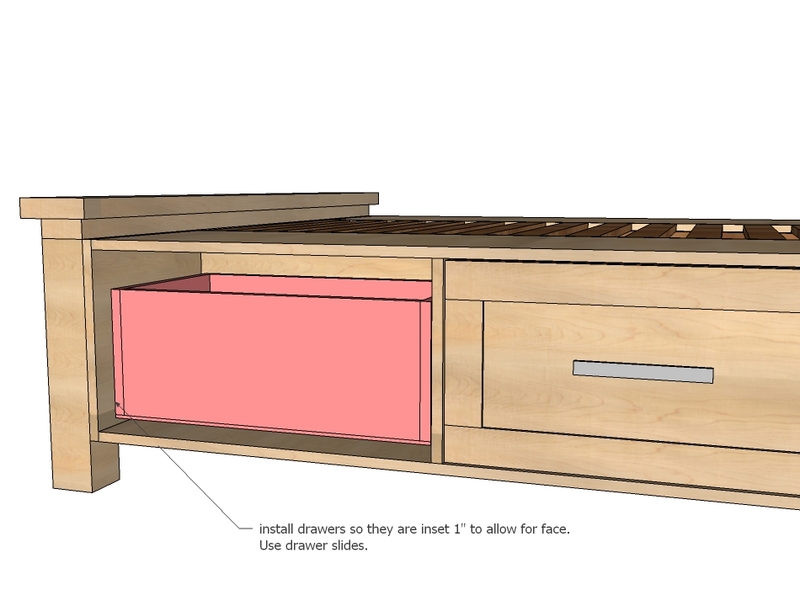 From the remaining pieces, cut your remaining drawer faces as shown above. 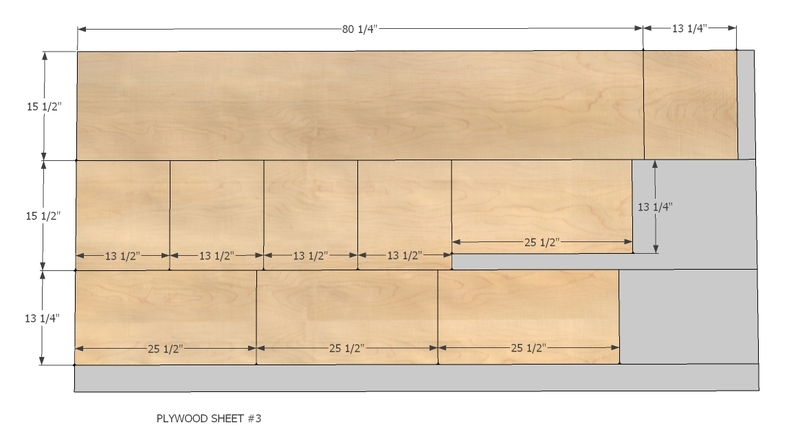 From the 1/4″ plywood, cut the following pieces. 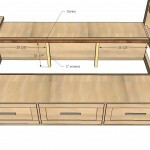 You will need to either purchase an additional 1/2 sheet of plywood for the two remaining drawer bottoms, or you could use leftover 3/4″ stock for the remaining two drawer bottoms. 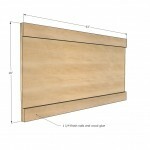 Attach 1×4 trim to panel of headboard. 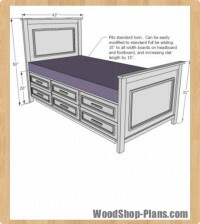 You will do the same with the footboard panel. 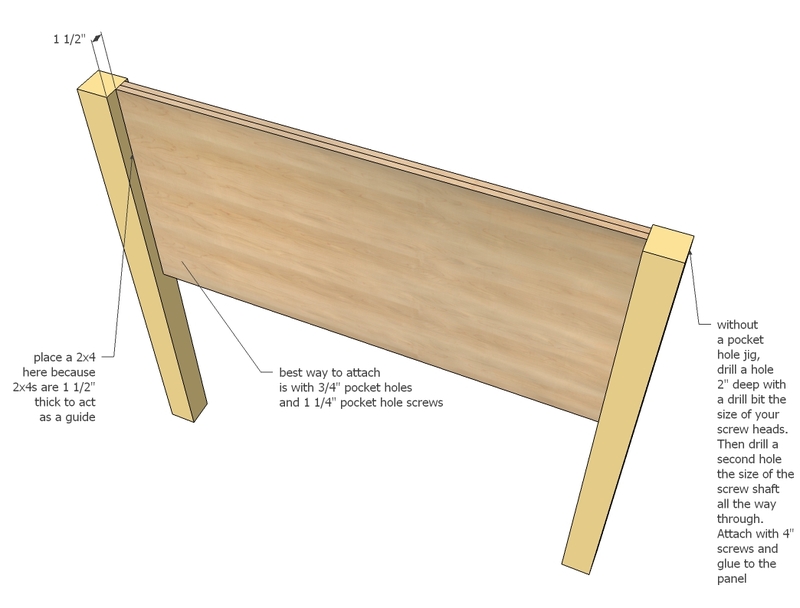 This is a relatively easy task if you have a Kreg Jig – simply drill 3/4″ pocket holes along sides of panel and attach to legs. 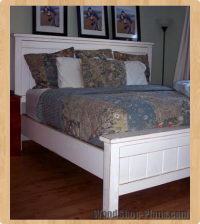 Make sure you are leaving 1 1/2″ to the back of the panel as shown above (Very important with footboard). 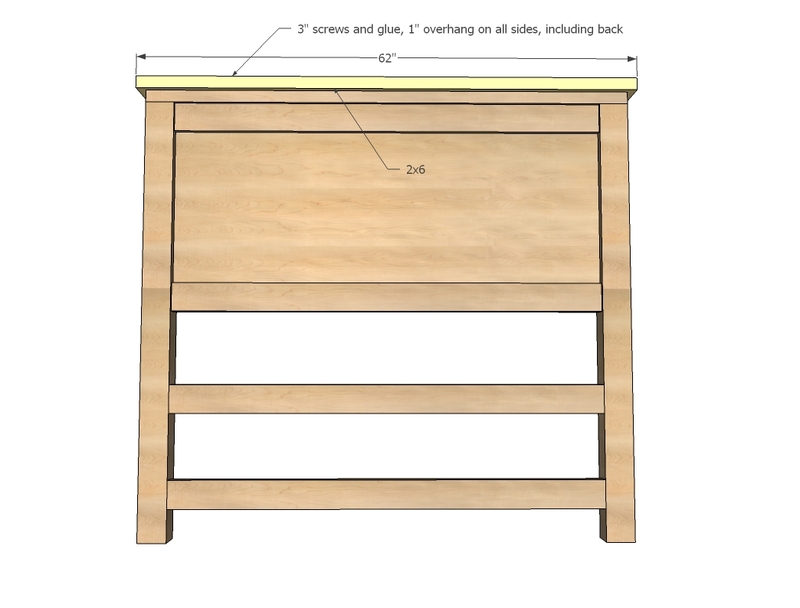 If you are using traditional screws, mark the legs where they meet up with the panel at the top and bottom (where the panel is covered in trim. 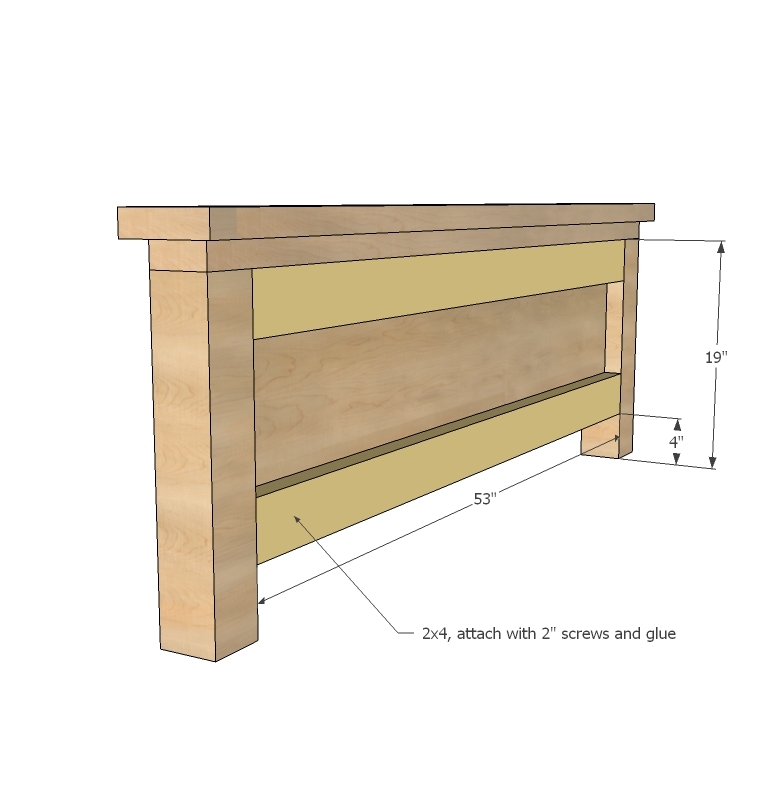 Use a drill bit the size of the screw head to drill a hole 2″ deep into the legs. 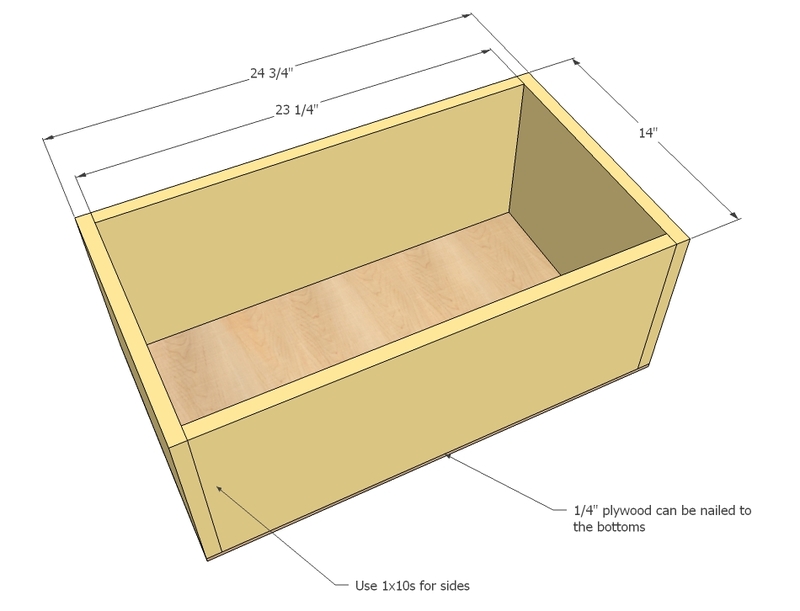 In this hole, use a drill bit the size of the screw head to drill a second hole all the way through the 4x4s. 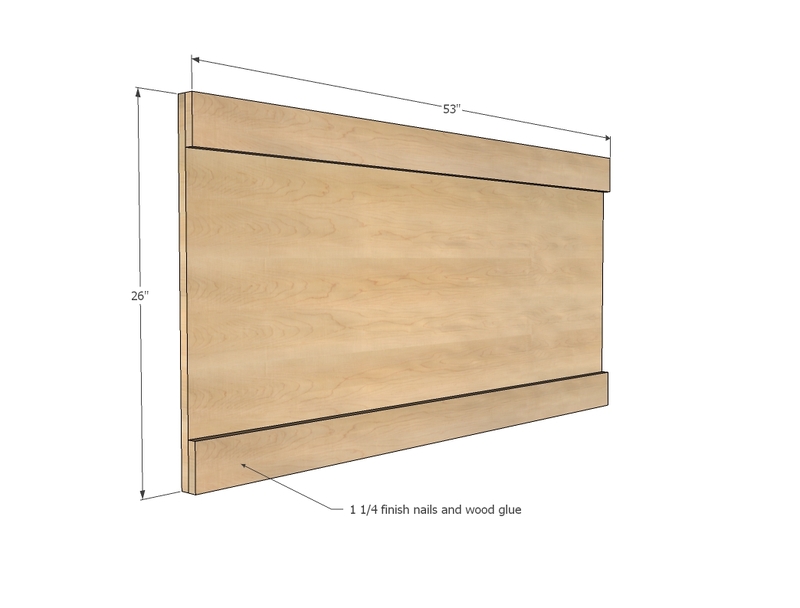 Attach to panel with 4″ screws and glue. 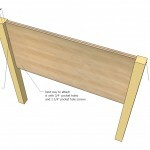 Attach the bottom supports in the same manner as the panel, carefully locating as shown in diagram. Hooray, an easy step! Attach as shown above. Finally the crown. 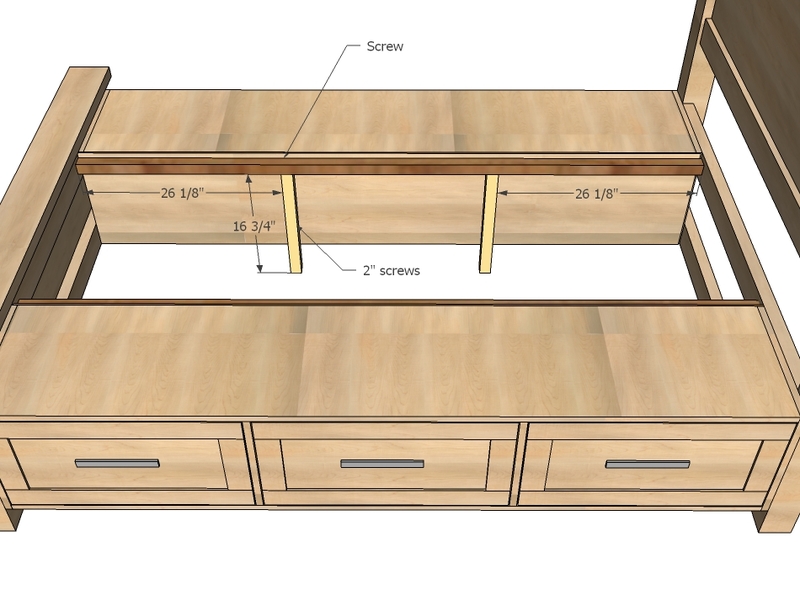 I’d screw on myself to minimize any gaps. 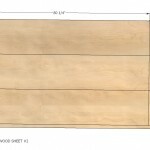 This is so your 2×4 spacers fit just right in the backs. 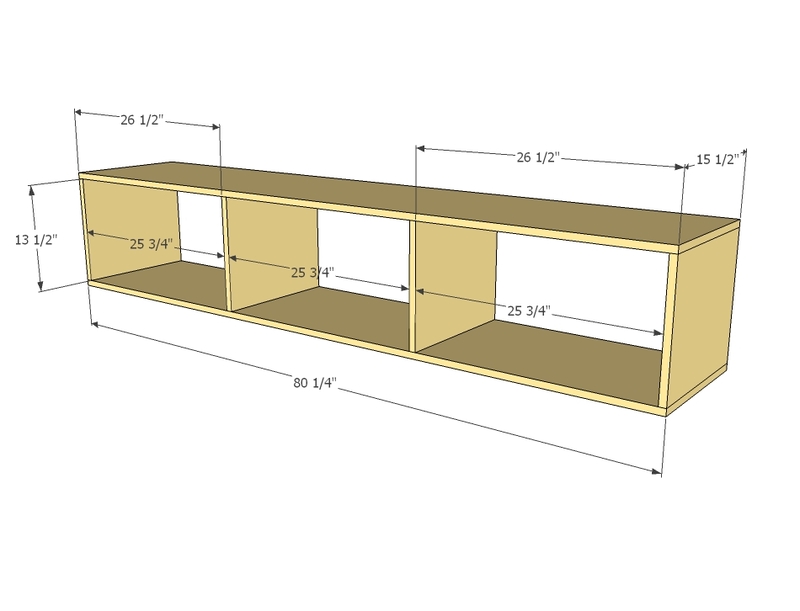 Attach with screws and glue. 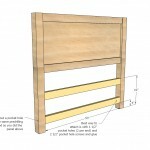 You can build these with either a pocket hole jig or traditional screws. 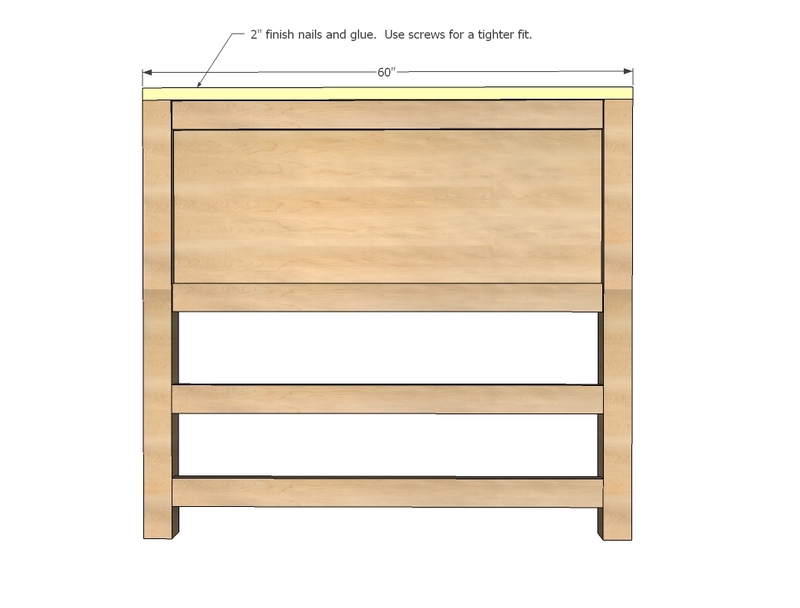 Build square if you are using drawers or your drawers will not slide right. 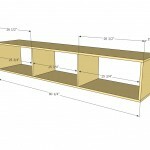 Attach back to the boxes with finish nails and glue. Make sure you nail into all center dividers too. 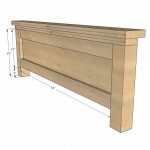 The back will help keep things straight and minimize sagging. Now this is where things get fun! 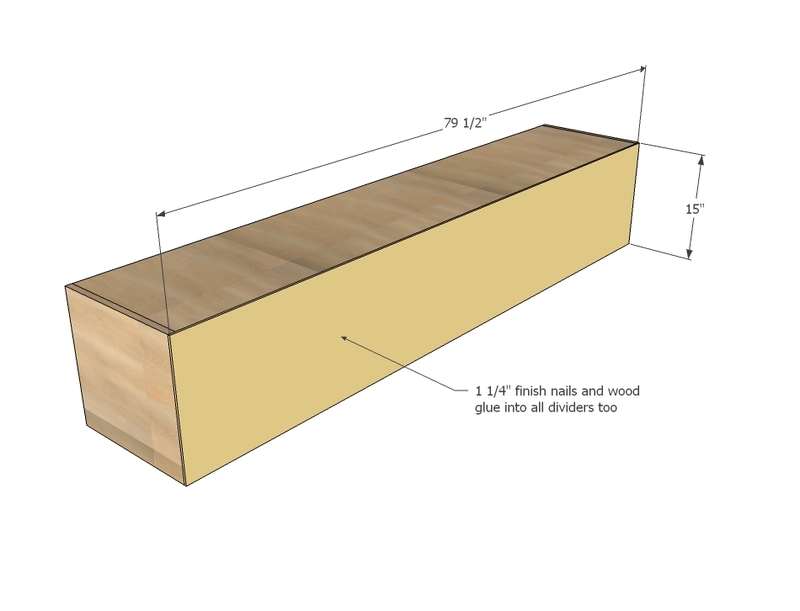 Take a minute and cut some leftover 4x4s or 2x4s 4″ long and use them as blocking to hold the boxes up as you screw to the headboard and footboard. Screw from the inside of the boxes into the legs and supports. 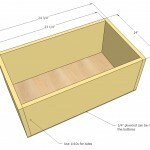 Attach the cleats to the back side of the boxes, leaving 3/4″ gap to the top. 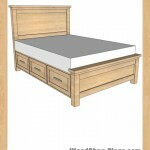 Especially if you move up to a king, you will need to add some support to the center. 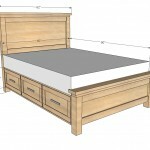 Some 2x2s “legs” as shown above will never be seen, but add a tremendous amount of support to the bed. 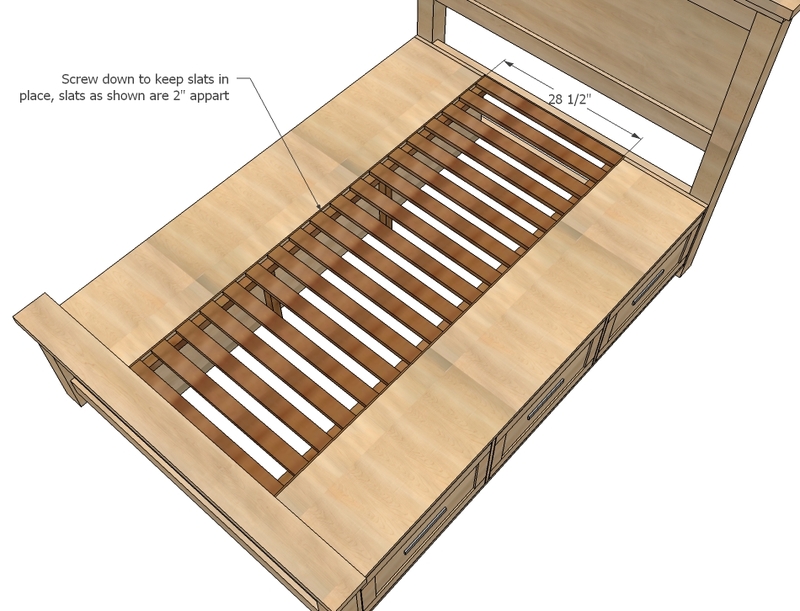 Finally, lay the slats. 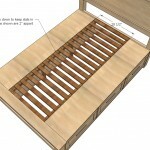 Per your mattress recommendation, you may need more (or can get away with less) slats. 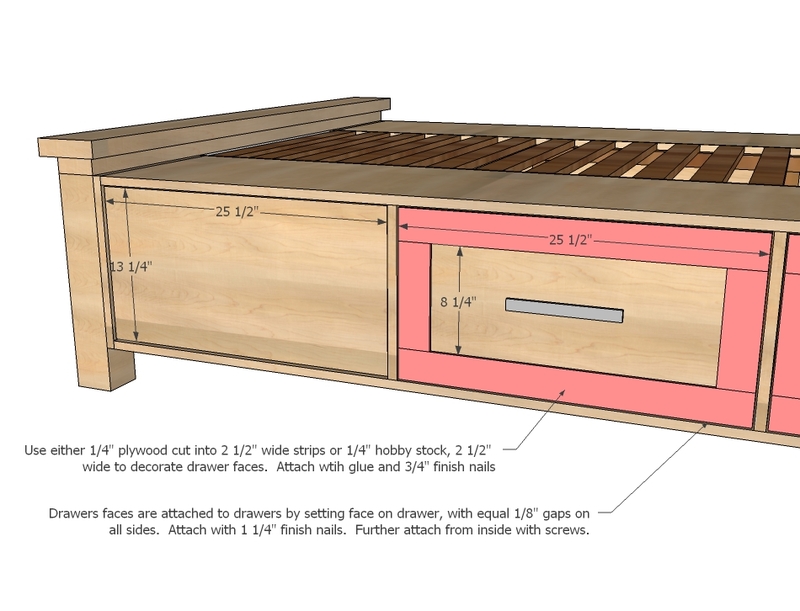 Build six drawers as shown above. 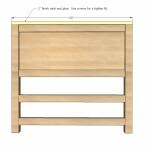 Your drawers must be perfectly square to slide properly into the bed. 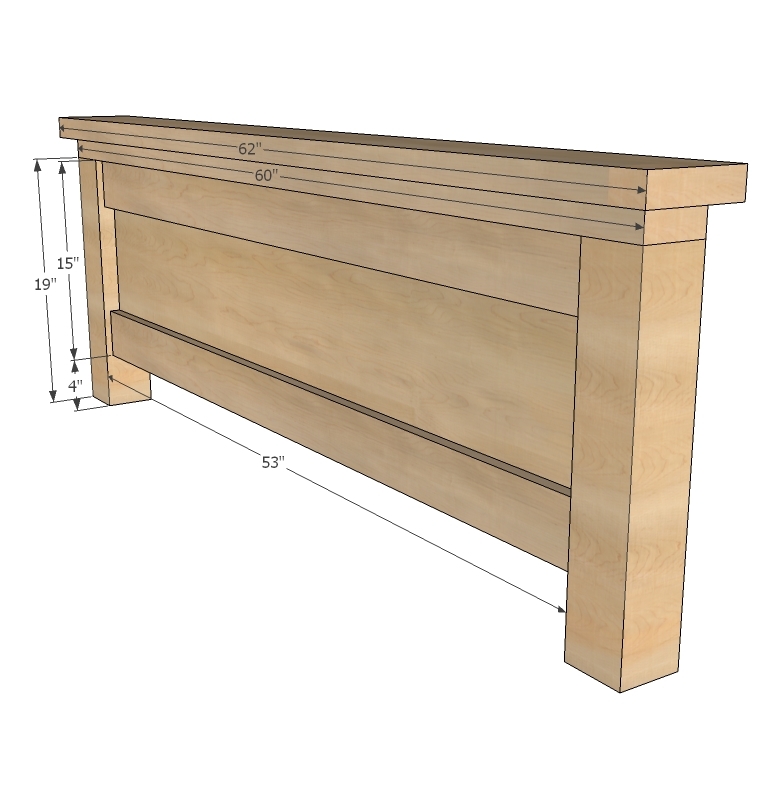 Remember, your drawer should be exactly 1″ less than the overall width of the opening, and 1″ less deep as well. 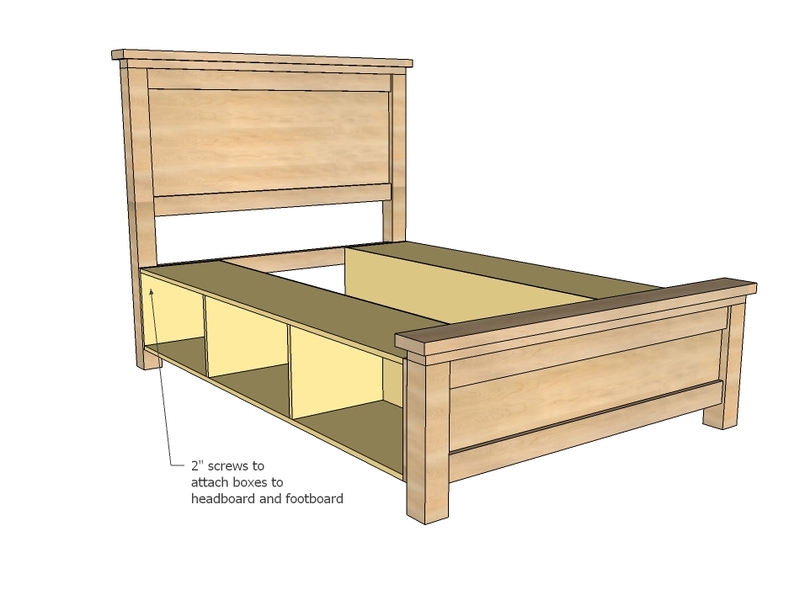 Install drawers into bed as shown in diagram, using the white euro style drawer slides that cup the bottom corners of the drawers. 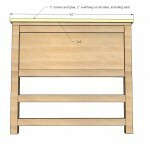 Make sure drawer sits inset 1″ from outside of box to allow for drawer face. 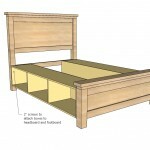 Adjust drawer slides until you are satisfied with how the drawer opens/closes. 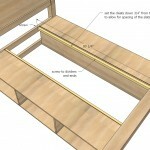 Build the drawer faces by attaching 1/4″ hobby stock (or other moulding) to the faces with 3/4″ finish nails and glue. 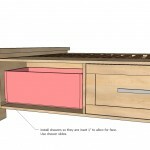 Place drawer face on installed drawers, with an 1/8″ gap on all sides of drawer face. 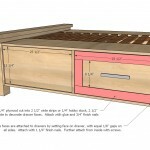 Attach with 1 1/4″ finish nails and wood glue.